It was easier with my other books. Jack Horwood is a coffee addict. Gareth Flynn likes his morning tea. The FireWorks boys run on caffeine and sugar. So every time I had a story out, I could get myself appropriately into the mood for this weird mix of fretting and celebration that’s also known as a release day. Today… while I’m celebrating the release of action adventure romance Undercover Star, it’s not quite so easy. 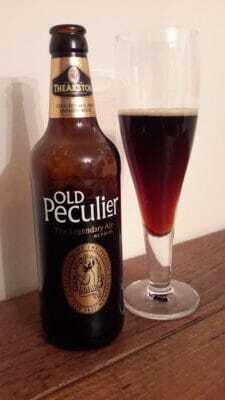 Detective Inspector Josh Ingram loves his Theakston Old Peculier, which was a great excuse for me to pour a glass or two while I was editing and finishing all the book files. It’s a lovely, rich ale, but not something I’d drink in the morning to wake me up or even to settle my nerves. And when it comes to star musician Matisse Vervein, it gets even more complicated. Because, you see, Mat is a Scot. Born in Greenock, raised in Castle Douglas, he’s at home in Dumfries & Galloway and he loves a dram of his local whisky. Which, given the numerous distilleries dotting the Highlands and Lowlands, shouldn’t be a problem, right? Mat’s local Annandale Distillery only reopened in 2014 after 90 years of closure. No other distillery has ever been dormant for so long. But Annadale lives again, and has started to produce whisky as it used to. Only problem is, the first batch of 3-year-old Annandale won’t be available until December 2017 (if you’re a whisky aficionado, you can read about it here), so I can’t sit down with a dram to celebrate. And neither can Matisse. Instead of holding back the book until Annandale Distillery is producing a steady stream of fine, matured single malt, or finding another tipple for Matisse, I’m proudly waving my artistic license! Imagine the distillery never closed, or reopened sooner, and you can simply order a dram of Man O’Words (named after Robbie Burns) or Man O’Swords (named after King Robert the Bruce, who was Earl of Annandale) during an evening propping up the bar in your local hostelry. But even so… whisky isn’t exactly a first-thing-in-the-morning beverage either. So I’ll be sending the boys on their way with a toast rather later in the day. And meanwhile I’ll entertain myself with my usual tea or a strong coffee to keep the old brain in gear. Undercover Star is available from all the usual retailers as an ebook and will also be out as a paperback in a day or two. It’s a story of not judging a book by its cover… and both Josh and Matisse must learn that lesson before the attraction between them has even a remote chance to grow into something more. If you like grumpy detectives who can tell real artworks from fakes, pop idols who’d rather play rock and have a mile-wide action-man streak… then this may be the ideal story to grab after the turkey feast. And to help with the book buying, here’s a chance to win a $25 amazon gift card. After all, I had to find something to celebrate with that’s suitable for early morning! Great characters, great storyline, absolutely entertaining!! The cover is great and so fits the story. Thank you for letting me read/review this novella for TNA! So looking forward to more of your works! I couldn’t agree more about the cover. Emma Griffin did a fantastic job. I have read all your other books, so I will be going to Kobo to buy and read today. Congratulations on your release today.